Everyone is settling well into the new routines and structure of Primary 5 and we hope they are sharing with you some of the things they have been enjoying and learning at school so far. 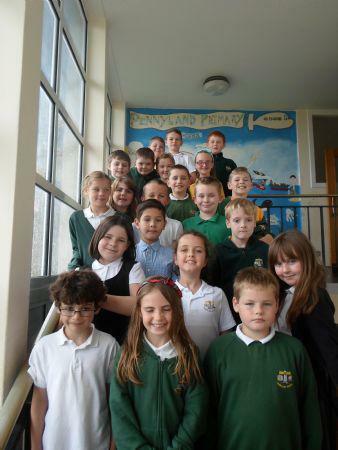 The class are very enthusiastic about using Class Dojo and they have been working hard to earn their points. Some have even started trading them in for rewards already! You can sign up to receive reports of your child's individual progress if you haven't already done so. Homework has now started and will be issued weekly - your child is responsible for ensuring it is completed and handed in on time. Thank you for your support at home with this, please remember to initial/sign homework once completed. We will keep you updated with our busy weeks in the classroom - please contact us if you have any concerns or queries.